The CFE Certification Framework is a European standard for cycle-friendly companies. It assists companies across Europe to improve the situation for employees who cycle to work. More details can be found here. The CFE Consortium grew out of the Bike2Work project. This involved organisations from Austria, Bulgaria, Croatia, Denmark, France, Germany, Italy, Malta, Netherlands, Romania and United Kingdom. The CFE Consortium aims to use the legacy of this project to extend its work to further countries. The objective of the Consortium is to expedite, enhance and standardise the certification process for employers at the European level. The new call goes out to organisations based in Cyprus, Czechia, Estonia, Finland, Greece, Hungary, Iceland, Ireland, Latvia, Liechtenstein, Lithuania, Luxembourg, Portugal, Slovakia, Sweden, Switzerland, Bosnia and Herzegovina, Russia, Serbia and Turkey. Implementing the CFE certification framework at the national level offers a clear chance to entrust this process to cycling associations and NGOs. The certification process will be managed by national coordinators with assistance and advice from the CFE Consortium. Why have a CFE certification framework? Certification is designed to aid European companies to improve conditions for employees who cycle to work and to offer participating companies affirmation and reward for their efforts. Cycling can add to the success of a business or organisation, while supporting employees travelling to work by cycling is considered to be beneficial expenditure. Studies have shown that air quality and physical activity have a large influence on personal well-being and environment. Companies can benefit from their employees cycling as healthy employees have higher levels of productivity, and bike commuters are more likely to be on time and are less susceptible to stress. How to get CFE Certified? Companies can register their interest and put their “cycle-friendliness” to the test through the self-assessment tool on the website. This separates bicycle friendly measures into six action fields – each with a corresponding number of points determined by the implementation effort, cost and employees’ cooperation. A minimum number of points must be achieved per action field if a company is to be considered appropriate for the certification process. As part of the certification process, employers can also request guidance from their respective national contact point (NCP) or designated consultant. NCPs organise the CFE certification process if a company registers for an on-site audit. Promote the CFE Certification Framework. Be part of the European CFE network. Implement the CFE Certification Framework at national level. 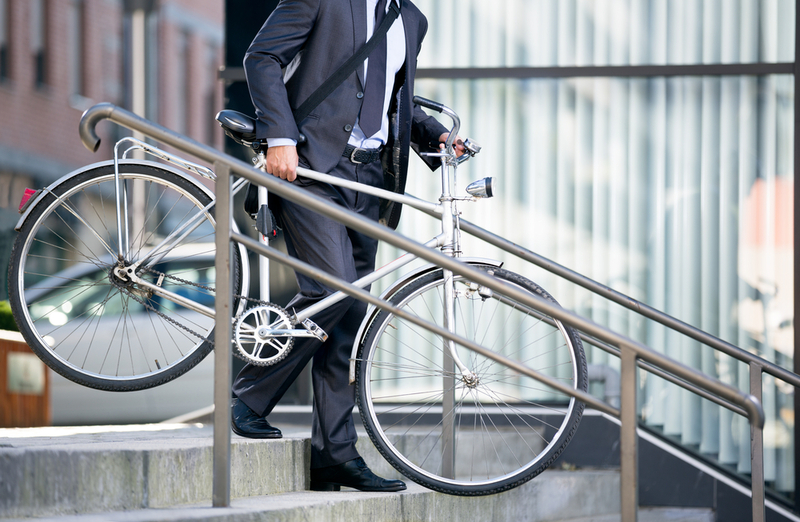 Create a cycle-friendly employer culture at national level. Release the CFE certification to cycle-friendly companies. The application package is available here. The submission deadline is Monday April 1st 2019.